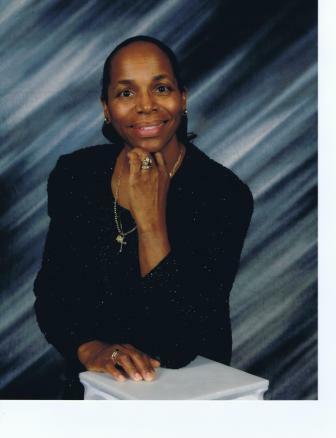 Christ Temple Church will hold its 35th Church Anniversary Celebration on Sunday during the morning worship service. This service is the first of four revial services to be held to celebrate the Anniversary. The tone will be set by the outstanding performance of the Youth Choir. The children will sing with much joy and enthusiasm. The Ladies Choir will follow with an A & B selection. Members will be recognized with a certificate and a token gift. After the award ceremony, the pastor will ask if there will be someone in the congregation that would like to stand and be recognized as a war veteran. People will begin to stand all over the sanctuary in order to identify themselves or someone in there family a Veteran of War. 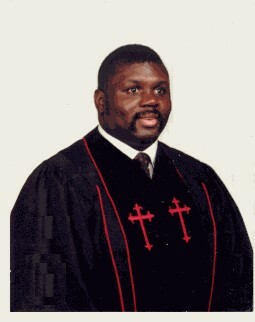 The speaker for the celebration will Elder Donald Malloy of Christ Temple Church in Clinton, MD. Elder Malloy will share with everyone how important it is to listen to what the spirit has to say. The spirit has often spoken to him and that he has learn as a pastor to listen to the spirit especially during crisis. He often say that the Word told him to tell the church that there is a time for everything under the sun. God's time is not our time. He often states that you need to grab hold of your dream and watch the Lord bring it to past. Elder Donald and Mother LaShawn Malloy will share words about Spiritual Warefare", taken from "MART DE HAAN — Been Thinking " article on the same subject. In one of the oldest stories of the Bible, the heart of a mere mortal gets caught in the crossfire between a rebel leader and the King of the universe. According to Satan, God has bought the heart of a man named Job by giving him protection in exchange for his loyalty. In response to the charge of bribery, God allows Satan to test Job with a series of heart-breaking losses. In the wake of Job’s suffering, three friends and a bystander deepen his misery by accusing him of hiding a sin that would explain his suffering. In a series of eloquent arguments and escalating anger, Job and his friends insult and alienate one another until God speaks out of a storm and brings their conflict to an end. Although God didn’t give Job the answers he was looking for, his story combines with the rest of Scripture to give us insight into the ancient art of spiritual warfare. God builds hedges of protection: Job faithfully interceded for his children. His prayers are an indication of his character. Yet even Job was not able to “pray a hedge” of protection around his loved ones. As the prologue shows, the King of heaven is the one who set the boundaries for Job’s spiritual enemy (Job 1:9-12). God is the one who, in His own wisdom and goodness, builds fences and takes them down. If we don’t make this distinction, we might put more confidence in our prayers than in our Lord. The devil isn’t our biggest problem: Job’s story is a timeless reminder that even though we have adversaries in high places (Job 1; Ephesians 6:12), we have the potential of being our own worst enemy. God had Satan on a leash. The rebel couldn’t do anything more than God allowed him to do. The real ambush came from within Job and his friends. They were all blindsided by their inclination to rely on their own understanding rather than to trust God for what He alone could see and explain. Don’t underestimate the enemy: God didn’t ask Job to match wits or muscle with the prince of darkness. He reserved that role for Himself. According to the New Testament, to speak arrogantly against Satan is a mark of false teaching (2 Peter 2:10-12). Even Michael the archangel showed humility and deference to God in his own struggle with the devil. Instead of presuming that he had authority over Satan, Michael did not dare challenge his enemy but said, “The Lord rebuke you!” (Jude 1:8-9). Adopt a truth-based strategy: When our Lord met demon-possessed people, He often used His authority to send demons running. But when He Himself was tempted by the devil, He resisted His enemy by repeatedly quoting the Word of God (Matthew 4:1-11) in response to each of Satan’s propositions. The second approach shows up in a classic New Testament passage that likens our spiritual defenses to the gear of a Roman soldier (Ephesians 6:10-18). (1) The belt of truth reminds us how important it is to tell the truth. Personal integrity is a priority of spiritual conflict. Even when fear of being exposed tempts us to lie, it is far better to come clean than to trip over ourselves in the presence of our enemies. Lies are self-defeating. A commitment to be honest with God, others, and ourselves is foundational to fighting spiritual battles. (2) The breastplate of righteousness has at least two implications. First, it represents the protective gift of blamelessness our Lord uses to protect those who trust Him. No one can successfully condemn the person justified by Christ (Romans 8:31-34). Second, this critical piece of body armor reminds us to do the right thing. Our enemy loves to catch us doing anything that would jeopardize our mission and give him an unguarded path of access into our lives. (3) Feet covered with the preparation of the gospel of peace gives us reason to be ready for action. We have been called to endure hardness as good soldiers of Jesus Christ (2 Timothy 2:3). Our path will not be easy. We need to be ready to run on the difficult, rocky ground that lies between us and those who need our help to make peace with the One who died for them. (4) The shield of faith reminds people under attack how important it is to trust the Lord rather than their own natural thoughts and emotions. Missions of rescue are not for the timid. The enemy knows how to frighten us with arrows of fear and doubt. Yet it is safer to trust Christ in the heat of battle than to hide in bomb shelters of our own making. (5) The helmet of salvation is described also as “the hope of salvation” (1 Thessalonians 5:8), and among other things it reminds us how important it is to think future. Like Job we may not be able to understand what is behind the present circumstances of our lives. God wants us instead to protect our minds by taking confidence in a salvation that protects us now and waits for us in heaven. (6) The sword of the Spirit is the Word of God. In spiritual conflict we need to remember to count on what God has said (Deuteronomy 29:29). Our Father in heaven intentionally withholds many of the answers our hearts cry out for. He asks us to trust Him for what He alone can see. (7) The alertness of a soldier reminds us that “praying always” for one another is our spiritual guard duty (Ephesians 6:18). Intercession for others is a way of showing that we know our enemy can be defeated not by our strength but by the Spirit of God in His time and in His ways. And so we pray, Father in heaven, we are often confused by the trouble You allow into our lives. Help us to depend on what You alone can see in this present darkness. We want to resist the Evil One who hates You. Please teach us to bow before You as Your servant Job did, acknowledging the overwhelming truth of Your unlimited authority, power, and wisdom. Please Click Here and Read "Understanding the Story of Job"
Please Click Here and Read "How to Study the Bible?" Please Click Here and Read "How Can I Understand the Bible?"